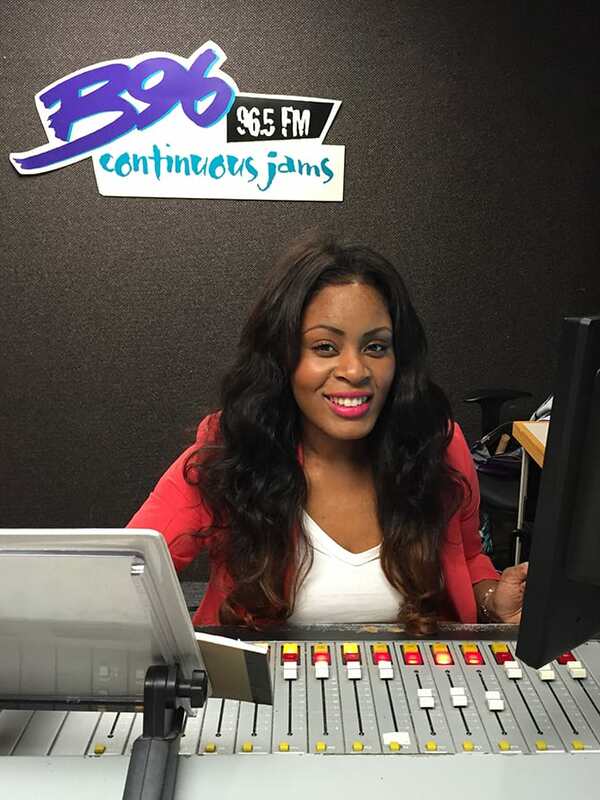 You know her as Tropikana, the on-air radio personality weekday afternoons on B96.5 FM. In her words, she’s “Cleveland made, but Louisville built,” and we love hearing that. Having been in Louisville for a little more than a year, she’s made a home for herself and her baby boy and also has left a huge impression on our community. She achieves this low-maintenance hairstyle with extensions from Cleveland Virgin Hair Divas that have been sewn in and ombre-colored* in brown tones by Tomeka Shelton of Lux Salon in Louisville, who is a master colorist and stylist with over 16 years of experience. To add a daily, soft, heatless curl, she uses a Paul Mitchell sculpting foam, divides her hair into four sections, and rolls each section onto a Flexi Rod (under $10 for a full set online). She leaves them in for an hour and unrolls for perfect curls that last two days without any other products. *Tip: Ombre color is low maintenance because there’s no need to continually touch up roots.